Early Bird rates expire April 27. Save up to $600 off on-site rates! Extend the SMX experience! Take a deep dive on advanced SEO, PPC, and more with an SMX workshop, hosted Monday, June 3. Conducted by recognized thought leaders in their fields, these educational resources offer best-practices training and industry networking opportunities. Choose one of these outstanding workshops and enjoy a full day of learning! Spend a day with a master SEO and come away with cutting-edge SEO techniques – tackling RankBrain, voice search, AMP, featured snippets, and more – that can help raise your rankings and visibility in search engines. Even with all of the new marketing channels that have opened up over the years, AdWords is still the core of many companies’ interactive campaigns. If your PPC campaigns are not running efficiently, it can have a drastic impact on your bottom line. Join Brad Geddes for a full day of advanced Google AdWords training and discussion that will teach you not only the best practices but also advanced concepts and strategies that are based on a decade of research and testing. Do you deal with big SEO problems? Do you work in a large enterprise, or have a site with millions (or billions) of web pages? If so, the basic SEO training material is not what you’re looking for. You’re looking for the master class, the one that is loaded with advanced content. Topics include how to analyze and solve a variety of thorny technical SEO challenges, how to create and implement progressive web apps, PWAMPs, how to understand the impact of machine learning and AI on search. Join Jessica Bowman for a full-day of “open the kimono” knowledge sharing in the only event designed by in-house SEOs for in-house SEOs. Because attendees are all in-house SEOs, the walls come down and you get to talk to the people actually doing SEO at the big brands, build relationships, and share solutions that you would normally only hear behind closed doors. There is no other workshop with this level of sharing! This full-day, intensive, hands-on workshop is all about using paid social to drive revenue while working with the rest of the integrated marketing stack (search, organic social, PR, Influencer, etc.). Your instructors, paid media veterans Marty Weintraub and Susan Wenograd, are ready to share a bag of tricks mined from the real world case studies and campaigns. 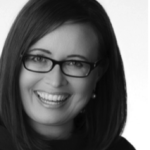 Susan has spent over 10 years in both client-side and agency-side roles that spanned team and digital media management for brands such as General Motors, CircuitCity.com and many others. Her initial roles in digital were in the copywriting and email marketing space, giving her unique perspective on the digital marketing life cycle, and the role of PPC within it. Susan is a frequent speaker at conferences around the country, including Pubcon, State of Search, SMX, and Digital Summit. Eric Enge publishes on a regular basis, including: Search Engine Land, The Digital Marketing Excellence blog, and Moz. He is also the lead co-author of “The Art of SEO”, along with Stephan Spencer, Rand Fishkin, and Jessie Stricchiola. Eric speaks at many industry conferences, including: Search Marketing Expo, Pubcon, State of Search, and others. Eric is the General Manager, Perficient Digital, a digital transformation consulting firm serving Global 2000 and enterprise customers throughout North America. Brad Geddes is the founder of Certified Knowledge, an online paid search training and toolset provider. Brad is also a co-founder of AdAlysis, an automatic ad testing platform. 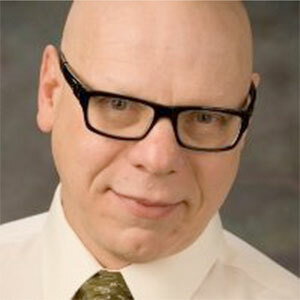 He is the author of Advanced Google AdWords, the most advanced book ever written about Google’s advertising program. Brad has worked with companies who manage tens of thousands of small PPC accounts and other companies who spend millions on marketing each year. His experience ranges from owning his own agency, to managing a boutique agency, to overseeing programs that were official resellers of Google and Microsoft. Some brands he has worked with include: Amazon, Yahoo, RH Donnelley, Business.com, World Directories, Encyclopedia Britannica, and Red Lobster. Ginny Marvin writes about paid online marketing topics including paid search, paid social, display and retargeting. Beyond Marketing Land, Ginny provides search marketing and demand generation advice for ecommerce companies. She can be found on Twitter as @ginnymarvin. Enterprise SEO inhouse has been putting food on Jessica’s table since 2002. (She’s a 1st generation SEO, quite the rare find). 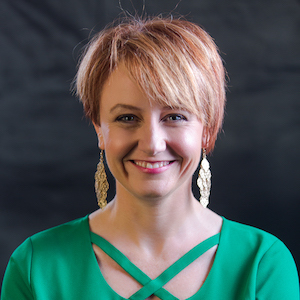 She gets nerdy with developers, evangelizes to executives, and updates processes and training for integrating an effective system company-wide getting everyone marching to the same tune. In fact, she wrote the playbook on it: The Executive SEO Playbook (Forward by Danny Sullivan). Jessica gets everyone in large organizations to happily pursue SEO. Within hours she has gotten development to start coming to the SEO team’s desk for requirements (when does that happen?!? ), and when she’s worked her magic other teams are consistently inviting SEO team to key meetings. She challenges your thinking and up-levels your strategies…and rescues you from the constant chasing projects and putting out fires. She founded SEOinhouse.com and trains teams company-wide online and live, across the globe. Ayat Shukairy is a recognized expert on marketing strategy and an in-demand speaker who has presented at marketing conferences throughout the world. With over 12 years of entrepreneurial and marketing experience, Ayat helps companies create websites fall in love with, while increasing their online sales. Her clients include eBay, 3M, the Special Olympics, DISH Network, Discovery and many more. Ayat is the co-author of the O’Reilly published book Conversion Optimization: The Art and Science of Converting Prospects to Customers. In her book, she combines ground-breaking marketing research with powerful storytelling and case studies to demonstrate how to leverage these principles to create killer websites. Ayat provides one of the most comprehensive lists of strategies and actionable insights for helping websites capture more of their visitors into lifetime customers. She provides insights grounded in comprehensive research, the best contemporary psychology and behavioral science which any company can start implementing immediately.